There are many different forms of spell casting. Each depends on the cultural backgrounds of the person asking for assistance. 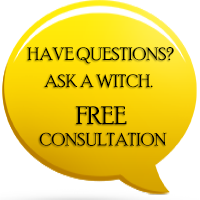 Although the love spell is the most common, the use of spells are extremely helpful in providing the guidance we need in our every day lives. A prayer, offered to the spirits or to the Gods or Goddesses of your religion is the simplest form of a spell. In asking those of a higher power for assistance and guidance, the follower is using the magical energies of the gods to benefit their lives. However, due to its strict religious connotations, it is rarely classed as a spell, but more a way of giving thanks to your selected deity. The art of writing words is a relatively new phenomenon, and so written spells were often seen as being more powerful than a spoken one. Words written on different objects were kept as charms and trinkets around the person to ensure the spell continued, or to make sure nothing happened to make the magic stop. The charms and trinkets that are worn can also be blessed with spoken words, or imbued with magical power from the elements around. In addition, rituals can be performed to strengthen these powers and make the charms potent for the user. Performing some spells can be easy, but others require the use of instruments and divination tools that allow the connection between the natural world and the spirit realm. The wand is most often associated with witchcraft, especially if carved from natural wood with an offering of thanks for the use of the tree. The wand acts as a buffer for the magical power, and aids the spells by directing the power in concentrated doses. A ceremonial knife, or athame, can also be used for these purposes. The wand connects the user to the spirit realm, and ensures that thanks are given for their assistance. Other items that can be used to create a spell include ribbons to wrap up parcels or pouches, much the same as has been passed down through the ages. Wrapping up the spells enables the power to be held tightly inside until enough time has passed for it to return to the natural state from which it came. A small broom, often made from small twigs tied together, can be used before a ritual to cleanse the space that will be used. Ridding the area of all energies that are unnecessary has been proven to increase the effectiveness of the spell. Throughout history, there have been many rituals involving the use of a broom, most notably the notion of spring cleaning, which is used to bring in good luck for the forthcoming season. Candles, feathers, clay, oils, incense, water and crystals are used in addition to these. They aid the spell because they represent the elements being used; the candle for fire, feathers for air, clay or soil for earth, and crystals to hold the spirit. These items are all natural substances, and have been used for many years in all cultures to aid in the creation of spells. All the tools that are used in the divination process, even the use of tarot cards, crystal balls, dream catchers and herb pouches, are designed to pass on both elemental powers and spiritual messages from the user to the gods, or to the intended recipient of the spell.